I finally (and painfully) realized that everyone at my age was experiencing the same thing and much of this treatment was simply a function of youth. But the other lesson I learned was that of credibility. While there are many elements to credibility there is a primary formula that I discovered. Let’s break this down further. Results do not necessarily correlate with effort. Yes, I like members of our team to work hard and make a great effort but that doesn’t mean the job gets done. There were times in the past where it was difficult to terminate an employee because I knew that person had given his all and no one had worked harder. Unfortunately, even with all of the blood, sweat and tears this person still wasn’t getting the necessary results. It was kind of like studying diligently for an exam in school and still getting an F. The professor really didn’t care about the three all-nighters; only that in the end the answers were wrong. Results are produced through a combination of skill, perseverance, creativity, timing, risk management, training, attitude and yes, effort. If any aspect of this combination is out of whack we might fail or barely produce an acceptable outcome. This leads us to the second factor in the formula – consistency. Here’s an obvious statement. When we are hit or miss with our results we are thus inconsistent which damages our credibility. The goal is always to produce high quality, consistent results. How does McDonald’s turn out the same identical hamburger no matter what store we visit? It’s accomplished through a fanatical adherence to specific standards and delivered through comprehensive systems and processes. McDonald’s uses the very same equipment at every location. They purchase in bulk the ingredients used to make the hamburger and are extremely exacting in their specifications for the quality and composition of these ingredients. Employee training is intense and standardized. Quality control measures are baked into their culture. Everything they do is geared to providing a consistent high quality customer experience. When we can “McDonaldize” our operations we greatly improve our chances to achieve consistency. But it’s not enough to just be consistent. There are some companies that are consistent . . . they are just consistently terrible. For example, why is it that so many of the cable television providers receive consistently terrible customer service ratings? Ditto the U.S. Postal Service? When I send a document via FedEx or UPS I know that it will arrive exactly when it is supposed to. But a similar delivery by the USPS has always been consistently inconsistent for me. I speculate that this may have something to do with business models and customer focus. A business model that is designed around selling a product or service – i.e. cable TV or overnight letters, is less likely to generate consistent quality results. By contrast, an enterprise dedicated to delivering an amazing customer experience is more likely to far and away be the winner. Our credibility is built on a foundation of producing consistent high quality results. Implementing strong systems and processes focused on wowing the customer helps maintain our hard-earned credibility. 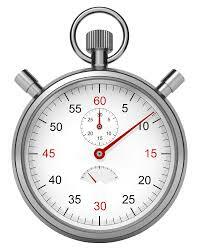 My urgency meter moves quickly into the red zone when I encounter bureaucracy or if there are delays in implementation. I guess I feel like we’re all living on borrowed time and there’s a lot I want to accomplish before my time is up. Thus, anything that wastes time or energy causes anguish for me. Recently I worked with a state agency on a particular matter that took two months to finally resolve. I had a pleasant conversation with the government employee and suggested that there must be a faster way to conclude the matter. She explained that two months in government time is “lightning speed.” Unfortunately she’s probably right. In the private sector the matter would have been handled in a matter of days or perhaps even hours. Fortunately I have a great relationship with the head of this agency. At the time of this writing, I’m working with him and his team to create a more expedited manner in which to deal with issues of the kind I encountered. Here’s a key point. My sense of urgency is with the process. I want things to be efficient. I want things to be cost-effective. I want the manner in which something is accomplished to happen quickly. In my world there’s no place for analysis-paralysis or indecision. We don’t need a committee to make decisions. It’s important to get input from different members of the team and their buy-in is critical. But someone must then step-up, take charge and lead. Poor communications is a killer of initiative and creates bottlenecks. If communication isn’t clear and concise, time is wasted when clarification is sought. All of this is process-related. I said I’m a patient individual as well as having a high sense of urgency. Here’s another key point. I am patient when it comes to results. I’m in the type of business where results don’t materialize overnight. I have come to realize this after more than 40-years in the trenches. My philosophy is that if we take care of the basics and fundamentals through well-designed systems and processes, the results will take care of themselves. I can wait months or even years for the results because that’s often what it takes. Here’s an example of what I’m talking about. Suppose you and I are farmers. We must get a crop in the ground by date certain or we’ll have to wait an entire season to plant again. We know the steps that must be taken. The soil must be tilled, the seeds drilled into the furrows and covered, fertilizer must be applied and the crop must be irrigated. We’re racing the clock to get in and out of the field. There’s no time for a committee to decide what crop we’re going to plant and where, when or how we’re going to plant it. We work our process with precision and complete the planting with days to spare. Now we wait patiently for the crop to grow, nurturing it as required by our process until it’s ready for harvest. We can have a high sense of urgency and be patient, all at the same time. Our urgency lies with developing and implementing an efficient process, and our patience comes in waiting for the results. 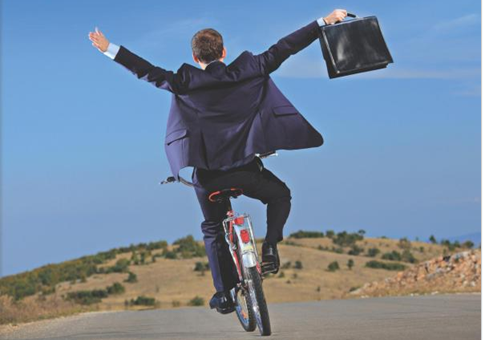 Question: Some entrepreneurs seem to be able to take an unexpected and difficult situation and turn it into success. How do they do it? Answer: The skill to which you are referring is very simply the ability to adapt to a particular situation. And as with so many other things in life, it all starts with mindset. Have you ever created a plan that didn’t work perfectly when implemented? How did you feel? I can remember times in the past when I would become very upset and frustrated when my carefully crafted plan seemed to go up in flames. Other people always messed things up for one reason or another. Recently we had an historic building we wanted to develop but needed a state agency to approve affordable housing tax credits in order to move forward. We submitted the project twice to the state agency and both times did not win an award. Of course this was immensely frustrating and we very easily could have given up and moved on to another project. Instead, we figured out a different (and even more complicated) structure for the deal and have been able to put the train back on the track, so to speak. Being adaptable means having a mindset of flexibility. But there’s one more element that really unlocks the secret. It requires being able to anticipate that when something goes awry, it’s an opportunity. An opportunity to be creative, change direction – slightly or a lot – and make things even better than originally foreseen. I’ve reached the point where I expect to have such opportunities. This isn’t negative thinking by any stretch. Instead it’s a mindset of looking for ways to improve upon a situation. When something isn’t working quite right that’s a signal to me that there’s a better way. You’ve probably seen the kids’ toys called Transformers. The basic premise is a toy that transforms from a seemingly mundane robot into a much more powerful object. 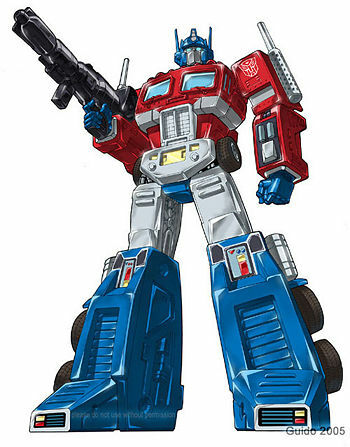 Optimus Prime was the original hero in the Transformers franchise – a robot that transforms into a Kenworth truck cab containing a powerful ion blaster. Sounds silly, right? But that’s exactly what we entrepreneurs want to have happen. We want our good ideas to transform into great ideas. Sometimes this takes some twisting and turning, but eventually we prevail. Problems lead to solutions. But be careful what you believe for what you believe creates the world in which you live. If you believe that problems are an opportunity to adapt and improve, your world will be filled with outcomes that are better than you ever imagined.